It’s been awhile since some factual news came across my feed that got me excited, but here it is. 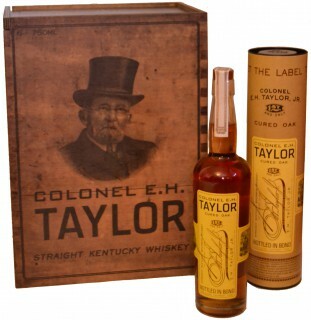 Buffalo Trace plans to release a 17 year old version of their E.H. Taylor Jr. product at the end of March. The ‘Cured Oak’ refers to the process of the barrel staves being left in the open air to ‘cure’ for 13 months instead of the standard 6 months. Bourbonr postulates that this may be some of the bourbon used in the Buffalo Trace Experimental series with varied wood curing times. That sounds like as good of a hypothesis as any to me. Suggested retail price will be $69.99, which seems very reasonable for a 17 year old product from Buffalo Trace. This release, like all others in the E.H. Taylor series, will be Bottled in Bond which continues to make us happy. If you tried any of the ‘extra cured’ Buffalo Trace Experimental series, let us know in the comments and maybe you can help us know what to expect. I think we’ll definitely be buyers, assuming we can find it. Cheers and happy St. Patrick’s Day! P.S. We do know about the upcoming return of I.W. Harper to the American market, but are waiting to tell you more about it until after this Thursday when we actually get to taste some and talk to the brand representation. Until then, slainté!